When you have water damage in your home, you know that immediate response is necessary to quickly recover from the damages and get back to your normal routine. Fortunately, with Teasdale Fenton, we have more IICRC certified cleaning and restoration specialists than any other restoration company in the area and we are available 24/7 for emergency response and water damage restoration services in Dayton, OH. To minimize property loss and expensive damages, contact Teasdale Fenton as soon as you notice moisture or water damage in your property. Our advanced restoration equipment allows us to remove water and moisture quickly so we can set up drying equipment and begin the restoration process right away. It's important to begin restoration work as soon as you spot water damage to prevent mold growth in your home or disruption to your business and profits. 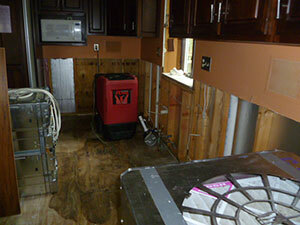 Water damage is a direct result of indoor flooding. This commonly happens for various reasons including plumbing problems, appliance leaks, burst pipes, severe weather or following a fire. It can also lead to mildew and mold development which not only harms your property and indoor air, but it can also create health risks, especially for people with vulnerable respiratory systems. But, that's not all, water damage can wreak havoc on your furniture, upholstery and your home or commercial property's structure. If these property damages aren't dealt with immediately, you could be facing expensive repairs and a longer recovery time. Thanks to our experience dealing with all kinds of water damage, we understand the intricacies that are involved with water damage, which is why we work with DKI and 1-800-Board-Up so that we can handle the entire restoration process seamlessly from start to finish. No matter how big or extreme the damages seem to be, we can get your property back to normal in no time thanks to our emergency response team. At Teasdale Fenton, our state-of-the-art Hydro Extreme Water Extraction equipment uses a suction and compression technique that pushes water to the surface and removes it so your carpets and the padding can't absorb water or moisture. Insurance companies prefer this method for quick and efficient water extraction. We also have modern dehumidification equipment in both portable or truck-mounted systems to accommodate any size property. This type of technology reduces the water damage restoration process drastically, unlike other methods. 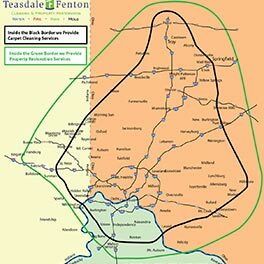 When you need water damage restoration in Greater Dayton, OH, Teasdale Fenton is the name to remember. We offer a wide range of professional cleaning and restoration services in your area and we can restore your property as if nothing ever happened. Contact us today at 937-600-6717 for immediate emergency response!